"We were surprised by the level of technical equipment which is really excellent. The teacher is very good at explaining the programmes and makes it fun. We get to set our own guidelines and make our own decisions which is great. We’ve learned a lot more than at school." Our dedicated team of project coordinators will guide you through the project preparation process. To make sure we find the most suitable work placement and accommodation for each individual participant we ask everyone to complete our online registration. Our Student Services and Work Placement Team will make sure everything is fine and in any matter they are here to help! Each participant will receive the certificate validating acquired skills and participation in the project. What makes our VET programmes so special? Quite simply, it is all about the individual. The Tellus team work incredibly hard to ensure the requirements and aspirations of every one of our students and participants are matched perfectly with the most suitable programme. This is a chance to help them develop professional, personal and social skills that will stay them for life. That’s why we want to get the match absolutely right – first time! In the same way we speak your language – we also like to think our track record speaks for itself too.  Choose the award winning Tellus Education Group and you choose a trusted and respected organisation which, for more than a decade, has been delivering some of the best educational and training opportunities available. You will be one of more than 2,000 students we welcome to the UK, Spain, Italy and Poland every year who have enhanced their employability, improved their English language skills – and made many new friends too. During the 10 years of providing life changing opportunities through education and experience, Tellus Group and Meridian School of English have featured in: The Plymouth Herald, BBC Radio Devon, Grad MAG, Study Travel Magazine, Language Travel Magazine, Polish Gazeta Lubuska, Italian PROFESSIONI and many other Turkish, Polish, German and Italian newspapers and magazines. It’s one of the most important aspects of what we do – ensuring that all our young people are not only in the most capable and experienced hands, they are in very safe hands too. We recognise that for many of our European visitors this could be the first time they have visited another country and been apart from family and friends – away from everything that is familiar to them. Be assured, our dedicated team is always on hand to support them, continually monitoring their progress and showing that we care. We like happy people – so imagine how happy we were to discover that nearly all of students are just that! More than happy with their overall experience, happy with their host family and the Tellus staf. It is just the sort of feedback we want to hear. After all, feedback is a vital part of what we do. It helps us to understand what we are doing well and where we might need to do better. As you can see for yourself, the results of feedback make great reading, but at Tellus we are never complacent. The mark of a great organisation is one that is always looking to improve its service. It’s not just about having happy students now – it is about making certain they stay happy too. Ascentis is a UK-based Awarding Organisation that creates a range of qualifications designed to meet the needs of many types of learners and is regulated by Ofqual – The Office of Qualifications and Examinations Regulation, which is the UK Government’s non-ministerial department that regulates qualifications, examinations and assessments in England. Tellus College is a “Recognised Ascentis Centre” (Centre Number 60997) and delivers a range of courses. Responsible Work Practice is the name of the module that Tellus College provides for all students on our work experience programme. The course comprises of a 3 hour classroom based module as well as practical activities during work experience and aims to teach students the importance of positive attitudes and behaviours at work. A certificate is awarded for this qualification. In 2015 and 2012, Tellus Education Group was awarded Study Travel Magazine’s Work Placement Provider of the Year award and it is shortlisted every year. ST Star Awards are among the most prestigious in the language travel industry. The British Council’s accreditation is recognized all over the world over by students, agents and government officials as a clear mark of educational quality. The Accreditation UK scheme is the best guide to the country’s English Language Centres, which are thoroughly inspected on a regular basis. The British Council are committed to encouraging the highest standards of education offered by independent colleges and provide prospective students with an clear guide to quality. The University of Portsmouth received a high ranking in The Sunday Times University Guide. The University is a member of the University Alliance, a group of 23 business focused universities. Meridian/Tellus is an accredited agent of The University of Portsmouth. We can help non-EU applicants gain entry for undergraduate and postgraduate studies. Meridian School of English in Portsmouth is a Trinity Testing Centre and is classed as a testing ‘venue’ affiliated with our school in Plymouth. This means we are an approved centre for the Trinity Graded Examination in Spoken English (GESE). Our exam centre no is 55706. See the Graded Examinations in Spoken English (GESE) page on the Trinity website for more details.